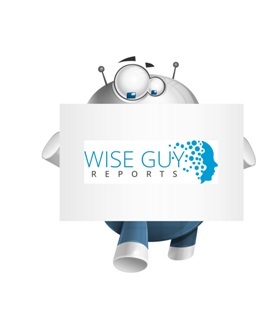 WiseGuyReports.Com Publish a New Market Research Report On –“ Traffic Road Marking Coating 2019 Global Market Net Worth US$ 6,781 million Forecast By 2026”. The worldwide Traffic Road Marking Coating Market is anticipated to reach around USD 6,781 million by 2026. In 2017, the paint segment dominated the global market, in terms of revenue. In 2017, Europe accounted for the majority share in the global Traffic Road Marking Coating market. The rapid increase in traffic congestion across the globe majorly drives the growth of this market. Growing concerns regarding road safety coupled with increasing need to efficiently control and management road traffic supports the market growth. A significant increase in the number of road accidents has been registered, which encourages governments to improve the road infrastructure. There has been an increasing construction of roads, especially in the developing regions of Asia-Pacific and Latin America, which further augments the growth of this market. Introduction of organic road marking coatings along with increasing awareness regarding the use of environment friendly marking materials would provide growth opportunities for traffic road marking coating market in the coming years. Asia-pacific is expected to grow at the highest CAGR during the forecast period. There has been increase in construction of roadways in the developing countries of Asia-Pacific. The increasing need to improve infrastructure is increasing the demand of traffic road marking coating in the region. Governments in the region are increasingly investing in the development of roadway infrastructure, augmenting the market growth. Growing concerns regarding road accidents, and rising need to control them further promotes the growth of this market. Leading global players are expanding their presence in developing nations of China, Japan, India, Indonesia, and Malaysia to tap the growth opportunities offered by these countries. The various types of traffic road marking coatings include thermoplastic, paint, preformed polymer tape, and others. The paint segment is expected to lead the market during the forecast period owing to its increasing demand from the developing regions. Use of paint is generally preferred owing to its easy availability and ability to dry at a faster rate. Thermoplastic is expected to grow at the highest CAGR during the forecast period. The well-known companies profiled in the report include Vertex Group, Geveko Markings, Dow Chemical Company, Asian Paints PPG Pvt. Ltd., Lanino Road Marking Products, Kataline Infraproducts Pvt. Ltd., Ozark Materials, LLC, Kestrel Thermoplastics Ltd., Crown Technology LLC, and WJ Products Ltd. among others. These companies launch new products and collaborate with other market leaders to innovate and launch new products to meet the increasing needs and requirements of consumers. 6.4. Asian Paints PPG Pvt. Ltd.